The installation pace of renewable energy generated by photovoltaic (PV) solar power has rapidly accelerated and that’s not surprising. Not only is solar electricity good for the environment, its installation costs are dropping rapidly. Now solar’s total generation costs in some parts of the world are almost as low as traditional dirty electricity sources, even without accounting for solar’s lower-pollution economic benefits. Additionally, solar electricity is not subject to fuel cost increases and can provide the benefits of distributed generation. 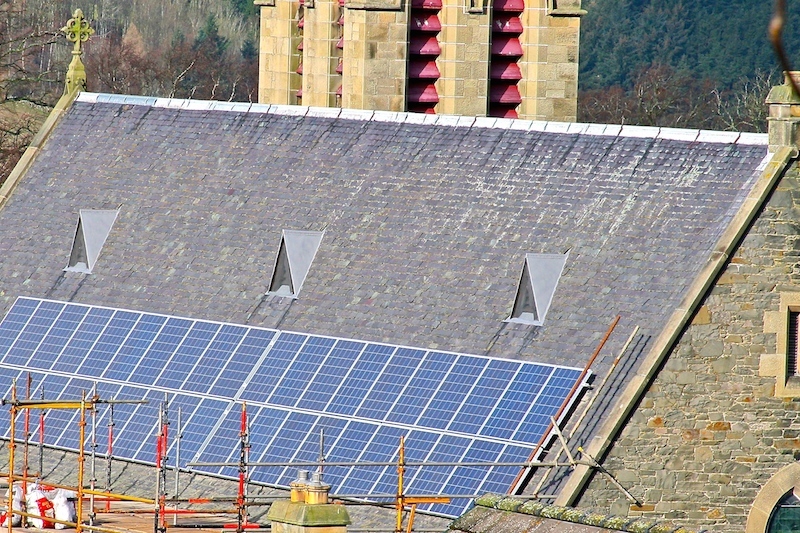 Scotland reached its 2020 goal of installing 500 megawatts (MW) of “community” energy five years early, the Scottish government announced on October 6. “Community energy represents tremendous potential to empower people to make the most of their own local resources. By creating a system that focuses on local energy, we can help to tackle some of our most pressing issues – from security of supply, to increasing energy costs – and stimulate local economic renewal,” according to Scotland’s Energy Minister Fergus Ewing. In the U.S., the second three months of 2015 set a record for the amount of solar PV capacity installed in a calendar-year quarter. From April 1 to June 30 there was 729 MW of PV capacity installed in utility solar farms plus 473 MW installed on home rooftops. That 473 MW represented a 70% increase from what was installed during the same quarter of 2014. 1,000 MW is about the size of a large coal or natural gas power plant. According to a new analysis by Bloomberg New Energy Finance, thin-film commercial PV installations currently cost $122 per megawatt-hour (MWh) on average and have dropped $7 in just six months. In Europe, ignoring environmental and health costs, coal-fired electricity costs $105 per MWh and natural gas-fired generation costs $118 per MWh.